James back with another review but this time a review I am 100% qualified to write about. ….and to be honest, it was the biggest mistake I made chasing shinier objects when I had a proven sustainable business already in my pocket. *All verifiable, just email me at james at ibuyireview dot com. I still regret every second I spent away from THIS. However, Ecomm is completely unstable and not long term. I don’t care what anyone says, I have seen it first hand, even when I completely thought ecomm was my lottery ticket. Nishant Bhardwaj has done over 1.4 million in sales for 2015 and spends over 100k a month on Facebook ads so he definitely knows his stuff. Commercify Review – What is it? 100% Automated Fulfillment – Never order products if you don’t want. 1 Click add product to stores software instead of having to create and add products. Facebook ad design and copy templates for tshirts. My Opinion is that you will get good training, you will definitely save time with the features in this product since it will be a done for you system. 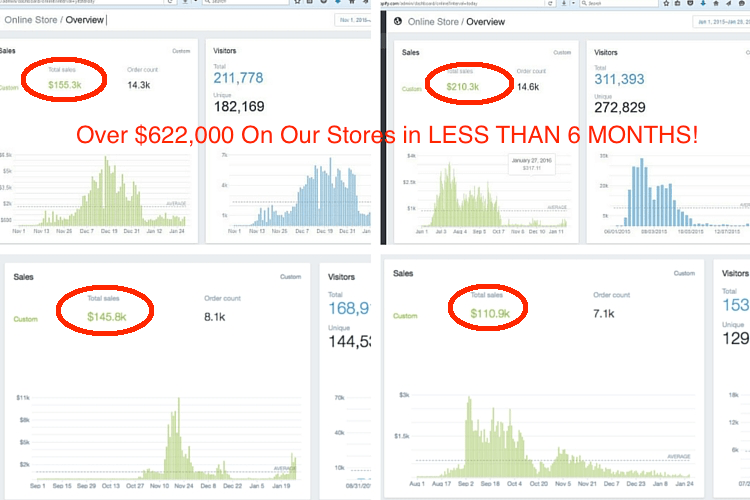 The only issue is this…the same issue I see in every single eCommerce Facebook group and forums. You will not know what to do with it. However, I have a solution. Hmm… James, are we talking about the same here? Commercify is not a course but rather a system driven by software. Also, it doesn’t cost $47 a month but $997. Lastly, I don’t see a link you provided to Ivan as an alternative either. Thanks for clarifying! Hi James i wanted to buy the product commercify through your link but i don’t see it anywhere in your blog can you fix this issue and thanks! I don’t sell it…it’s not a good course….I provided a link to a better solution in my other reply to you. I requested a refund two days after purchase. The support staff said it was non-refundable. I messaged Ricky directly via Facebook and got no reply. Commercify may nor may not work. But the back office business is pretty shady. Bad business practice. I won’t buy from Ricky again. Fooled me once.